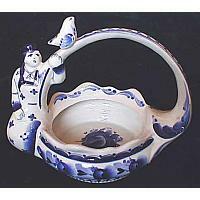 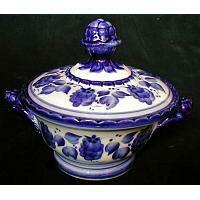 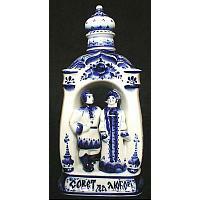 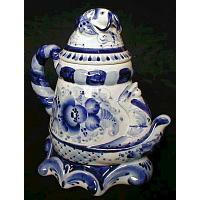 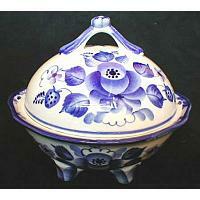 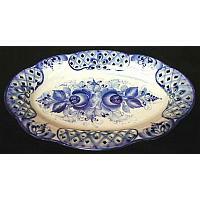 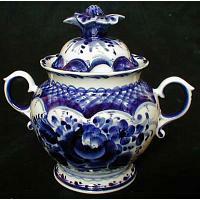 Gzhel is a Russian folk handicraft of both painting and ceramics production. 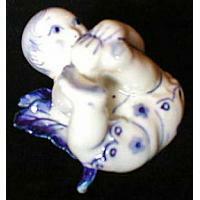 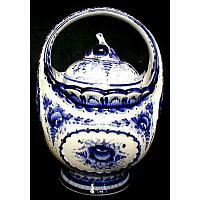 In early 19th century, local artisans discovered the recipe for making white faience, which spurred the subsequent production of high quality porcelain. 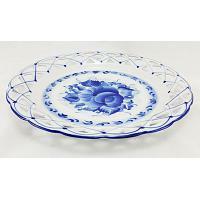 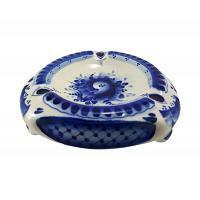 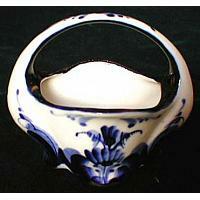 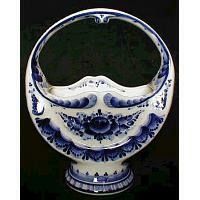 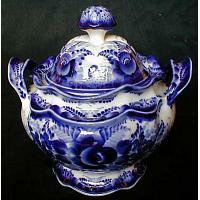 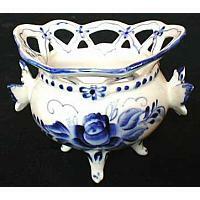 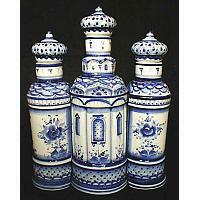 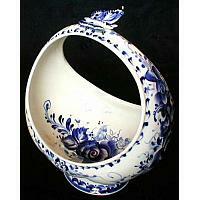 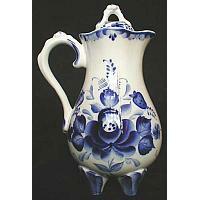 Gzhel painting is distinguished by blue and white patterns that often incorporate flowers. 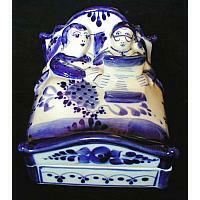 Category items range from tableware and home decor pieces to animal and human figurines.